Today’s topic I’m going to be discussing upon is synchronicity. This was inspired by a recent thread on Facebook and it really got me thinking. The main point to gain from Carl Jung understanding of synchronicity is that he viewed not only causality as being a means in determining synchronicity, but also meaning as well. Causality deals within the realm of the physical existence. With every action there is a equal and opposite reaction. People who base synchronicity upon causality see everything as a reflection of cause and effect. Cause and effect become the template in evaluating synchronicity. Most people call this just causality and Carl Jung separates the meaning of causality and synchronicity, but also unifies them as being equal to one another when it comes to the purpose of explaining coincidences. I for one see causality as synchronicity in known form and synchronicity as causality in unknown form. 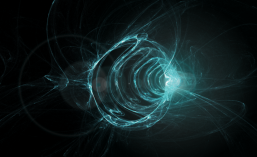 Causality is objective and synchronicity is subjective. Here’s an example of causality; let’s say you invest $100 into a stock, a week later you need $200 bucks for a overdue bill and you check the stock and see that it’s worth $300 bucks. The synchronicity is found in the fact that you were able to discover some money when you most needed it. Most people don’t see this as synchronicity, but instead call this causality since they see the cause and effect. They see the extra money as being the effect of the cause of investing money in this stock. Many of us don’t equate causality as being the same as synchronicity because of our awareness of the cause, but none the less it is a form of synchronicity. Carl Jung viewed synchronicity as equal to causality only in instances that causality is unable to explain the reasoning for the event. Thus it is important for us to consider the subjective nature of things that happen in our life, just as much as the objective. In today’s society we’ve relegated much of the idea of synchronicity to the acausal events that happen in our life. When we cannot see the cause for a certain coincidence we have the tendency to call this synchronicity, but at the same time we ignore the causality that happens in our everyday life as well. Synchronicity and causality have interchangeable principles, but different contextual application. This unbalanced understanding of synchronicity creates many problems in our life. We need to see synchronicity and causality as being one and the same. All of life is one big synchronized cause that we’ve agreed to partake in. There is nothing that happens randomly, only our free-will gives us the flexibility to believe that life is random. When we start to see synchronicity and causality as one we’ll be able to see the unity in life. The purpose of synchronicity is to help individuals remember that everything happens for a reason. Synchronicity is basically our way of re-membering with the Higher Order by recognizing the symmetry in life. Things that happen in life do not derive out of randomness. What may appear to be random at one moment, is only random because of our lack of awareness. When your awareness increases, the randomness in life slowly fades away and you start to see the unity in all things. 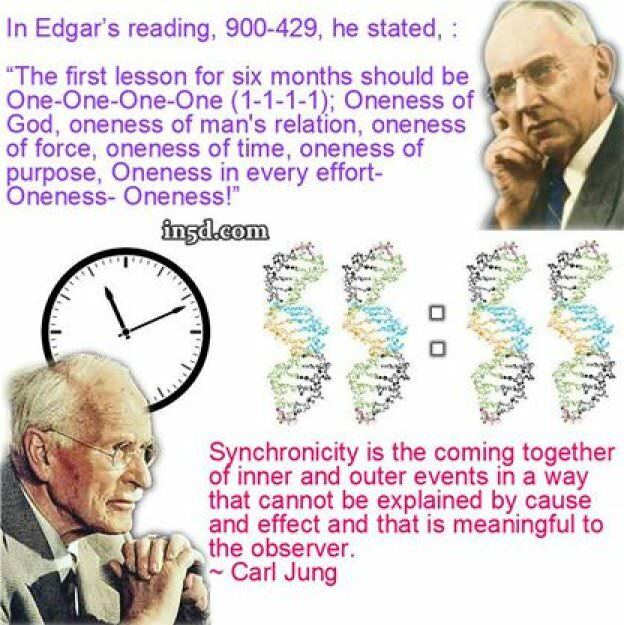 Thus we see the wisdom in Carl Jung’s understanding of synchronicity. His philosophy and explanation on synchronicity forms a underlying foundation that explicitly proclaims that there is a underlying force for all of creation. Seeing synchronicity in your everyday life helps one realize that We Are All One. That there is no form of separation whatsoever, except for the ones we’ve decided to experiment in with for reasons of learning more about ourselves and this reality. Synchronicity can be found anywhere and the only reason we cannot see it is because we’ve formed ideas that are based upon separation. When causality cannot explain synchronicity it is important for the individual to find the synchronistic meaning to the coincidence, but also important for us to continue searching for the cause and effect reason as well. We must utilize causality constantly and use meaningful explanations only when the cause and effect escapes our awareness. As you can see with the chart below, meaning should be used to explain coincidences that are a result of contingency. In the event that there is the absence of certainty in circumstances we should use meaning to explain this event, but only after we determine there is no immediate cause in which can be seen. That’s a very important factor because all things we eventually can understand through the lenses of causality. Which is why we should strive to understand and discover things in life. There isn’t anything we cannot understand, whatever we place our focus on we can understand. Synchronicity is equal to causality when cause and effect are unable to explain the coincidence. Nonetheless though, that’s a temporal condition that shall fade away when our awareness increases. Both causality and synchronicity have a place in our lives; because in the end they are just a different facet of the same understanding. Be the synchronicity in your life, be the unity in your life and be the unifying force that sees all of existence within the backdrop of the One. For all is one and one we shall always be, now and until the end of eternity. E Pluribus Unum, “Out of many, One.” That is the anthem for those who wish to be one with Creation. Be One my friend, be your True self and see the beauty in the One Creation.